Welcome to the webpage that Good Neighbor has set up specifically for AMI! On this webpage you will find answers to questions about our Cigna group health insurance. Most importantly, you’ll find instructions for registering for your Cigna Envoy online account. This is the most important thing for you to do right away. There is also information here on filing claims, and a lot of great information about how to obtain cost savings by using this insurance. On this page you will also meet Pei and Michele, our Good Neighbor agents. They explain in-depth some of the various issues which are addressed in the AMI insurance booklet which I emailed you. As a reminder, Good Neighbor acts as an intermediary between Cigna and us. Good Neighbor is a “like-minded” company started by a former worker to Indonesia, so you can know that as Pei and the others talk about how to get care overseas, they have a unique understanding of your needs. 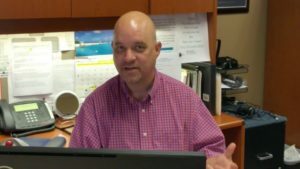 You can contact them for any questions you may have about your policy, issues with Cigna that aren’t getting resolved, or before you have a medical procedure done so you make sure you are doing everything correctly. They a great resource and are delightful to work with! I’m thankful for each one of you! Cigna allows you to access and manage your benefits online from anywhere in the world. The introductory video to the right will help explain how to access your member portal and the mobile app. You can use them to submit claims, communicate with Cigna and much more. For other questions or concerns do not hesitate to contact your support team at 1-800-441-2668 or 1-302-797-3100. Using Cigna Envoy® from Cigna on Vimeo. Welcome from Cigna on Vimeo. Good Neighbor Insurance has been helping charities and groups like yours find affordable, quality health insurance for overseas workers since 1997. 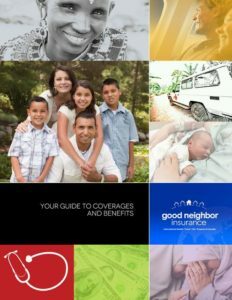 A considerable amount of time has been spent learning about your needs as an organization and trying to create the right plan that fits your needs while giving you the most affordable health care, including $0 deductibles for international care and benefits that would cost much more elsewhere. 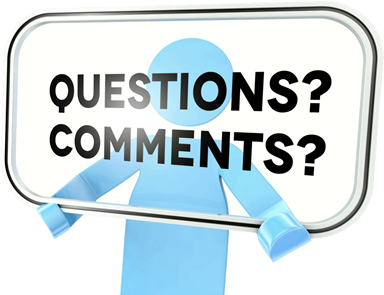 Please let us know if you have any questions not answered on this page. We are here for you and are here to help you stay safe and successful overseas in your work! Cigna has a network of 1,000,000 doctors and hospitals worldwide. These doctors and hospitals have contracts with Cigna to save you time and money. Finding a doctor or hospital with Cigna is easy! Watch this video to see how to find a doctor or hospital. Finding a Health Care Professional for Cashless Service from Cigna on Vimeo. Before filing your claims, please be prepared with all necessary documentation. Once you have all documents ready, there are four ways to file a claim. To the right is a video explaining how to file a claim and how to find a claim form if you choose not to file online. How to Submit a Claim and Get Reimbursement from Cigna on Vimeo. What is Precertification and when do I need to do it? Pre-certification is pre-notifying your insurance provider that you need, or are being advised by a doctor to seek, additional care/treatment. Pre-certification is required in the US only and not required overseas. The doctor or facility is responsible for pre-certification in-network. If you choose to use a doctor or facility outside the Cigna network, it is your responsibility to ensure that pre-certification of your treatment or procedure is completed. Failure to pre-certify will result in a denial of your claim. US hospitals and facilities are familiar with the pre-certification process and most of the time will do this for you. You can also call 1-800-441-2668 and speak with customer service or login to your Cigna Envoy account and click on customer service to send an email to Cigna. Pre-certification must be completed at least 5 business days prior to planned treatment for non-emergency services. For emergency services, please contact your plan administrator within 48 hours of an emergency service. If you have any questions, please call 1-800-441-2668 or login to Cigna Envoy and click on customer service to send a message direct to Cigna. Please feel free to reach out to me at Good Neighbor Insurance if you have any other questions. We are always happy knowing that we are making a difference. And helping clients save money on their group health insurance. Of course, we are also eager to do better, so let us know if you see any other ways we can be of assistance.